Find the latest eye care products and services from the best online companies in the country. If you need new contact lenses, prescription glasses or you just want to splurge on new designer glasses and sunglasses, the below selection offers plenty to choose from. Latest Glasses Online promo code: Frames for both men & women are available with up to 50% off at Glasses Online. Glasses Online free delivery offer: Order 2 or more pairs of sunglasses & get free shipping in this exclusive offer at Glasses Online. New Glasses Online discount: Sign up to Glasses Online & save 10% on your first order. Seasonal Glasses Online deal & sale: Order Greenvale sunglasses from Glasses Online and get $30 discount on regular price. 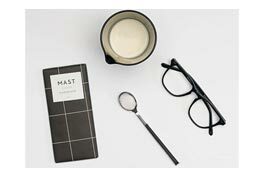 Exclusive Glasses Online voucher codes: Now you can purchase stylish men's retro glasses pricing from just $48. Shop from the huge range of prescription glasses for men and women starting from just $49 using Glasses Online discounts. Shop from the range of eye glasses and save maximum when you purchase using latest EyeBuyDirect coupon codes.